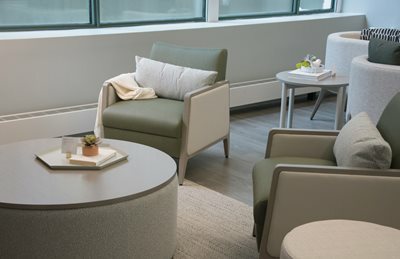 The New Behavioral Wellness - Munson Business Interiors, Inc.
At Munson Business Interiors in partnership with Kimball Health, we embody all environments to be holistic, safe, aesthetic to create a healing environment for all who engage in these environments. Our belief that all disorders should be treated with respect, a deep rooted connection to human-centered ideologies, embrace an understanding of empathy through the lens of patients and families and ultimately to create a deinstitutionalized model of care and building environment. Or mission is to continue to push the paradigm of thinking and shift the thinking through our solution-based ideas and design-fueled product to help bring lower anxiety, create a holistic experience and to help reduce symptoms to promoting long-term recovery. 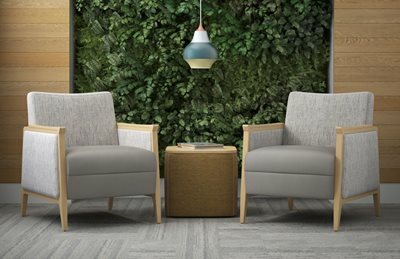 The products we designed for behavioral wellness provide safety & functionality with a sense of home. 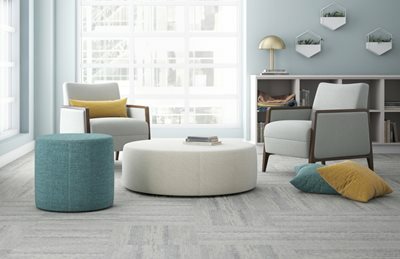 Thoughtfully designed, Spruce and Joelle offer solutions to meet the unique and critical needs of today’s behavioral wellness facilities. 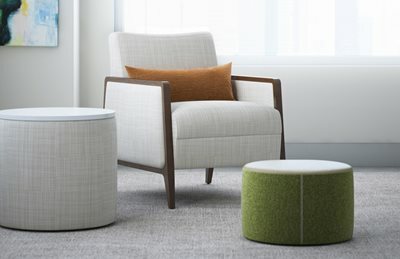 The single seat lounge in Spruce, paired with multiple sizes of ottomans and tables from Joelle, blend together to create safe environments that are both serene and comfortable.